Close-grained laminate top is elevated for an element of spaciousness and contemporary appeal. Stylish metalwork with premium-grade hardware contribute to the Euro-Tech flair. A blend of contemporary styling, rich textures and elegant finishes. Close-grained laminate top is elevated for an element of spaciousness and contemporary appeal. Stylish metalwork with premium-grade hardware contribute to the Euro-Tech flair. Two cord management grommets. 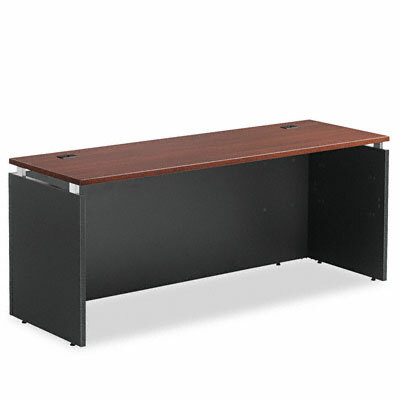 For Use With Alera® Seville Series Desk Shell and Alera® Seville Series Bridge Shell to create a "U" workstation.